Over 100+ formulated products that are private label ready. Scientists have found that stem cells have shown extraordinary longevity and regenerative properties. These cells are rich in epigenetic and metabolic factors, assuring the longevity of skin cells. Our age defying cream contains a blend of Stem Cell Media and full spectrum natural extracts to promote both vitality and longevity in our skin’s cells. With daily use, your skin will appear younger, tighter and brighter. For optimal results, apply to face and neck twice daily. Stem Cell Media are rich in epigenetic factors and metabolites. Our AM/PM Daily Facial Moisturizer contains a powerful dual-action formula with age defying complexes to help reduce wrinkles up to 45%. This product helps to boost your skin’s hydration and suppleness, while plumping fine lines and wrinkles to fortify its natural moisture barrier. Use daily to help restore your skin’s natural and healthy complexion. 1 fl.oz./30ml White Diptube Bottle with silver detail. Apply twice daily to face and neck. Our Neck & Décolleté Age-Defying Cream helps to tone, firm and tighten the neck area by forming a protective barrier, while improving its overall elasticity and thickness. This cream helps to stimulate the natural production of Hyaluronic Acid to naturally hydrate the skin and help minimize pre-existing lines and wrinkles. 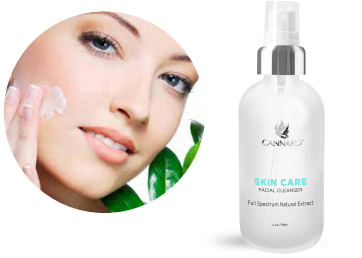 Natural full spectrum extracts help to repair damage, leaving your face nourished with a radiant, youthful glow. Helps restore the skin’s elasticity from age and sun damage. 1 fl.oz./30ml Acrylic Jar with silver detail. Apply to cleansed skin. Apply to Neck & Décolleté area twice daily. Boost your skin’s radiance each day with our Daily Skin Re-Energizer. This lightweight formula absorbs quickly into the skin to provide much needed moisture. Apply daily as needed to leave your skin feeling fresh, soft and satisfied. 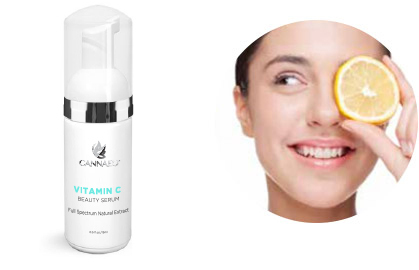 Protects the skin from daytime dehydration and environmental irritants. 1 fl.oz./30ml Frosted PG Jar. Apply a pea size amount to a clean face. Allow to dry before applying makeup. 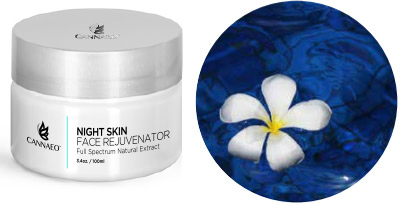 Our Night Skin Rejuvenator will surely become a staple in your daily skin care routine. Designed to plump and renew, this cream helps to accelerate surface cell regeneration so you wake up to intensely moisturized skin. Our night cream formula with full spectrum natural extracts continuously moisturizes throughout the night leaving your skin revived in the morning. Your skin will feel softer, smoother and younger with continued use. Helps accelerate surface cell regeneration. Apply to the face nightly before bedtime. Reveal tighter, brighter skin with our Collagen Retinol Revive Cream with full spectrum natural extracts. 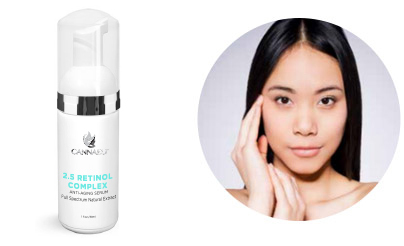 Retinol, an active ingredient in this product, is formulated to help boost your skin’s radiance and skin tone. Our cream, blended with pure natural extracts is the perfect recipe for brightening the skin, while reducing the pore size and appearance of UV damage. 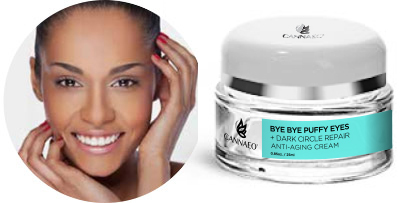 Add this cream to your daily skin care routine to promote smoother and revitalized skin. 0.5 fl.oz./15ml White Diptube Bottle with silver detail. An intensive, anti-aging eye cream infused with full spectrum natural extracts to help reduce the appearance of dark circles, puffiness, fine lines and wrinkles. 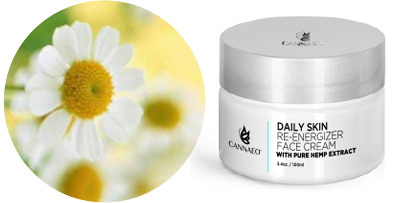 Anti-inflammatory properties helps soothe puffiness. 0.5 fl.oz./15ml Acrylic Jar with silver detail. Apply pea-size amount morning and night to under eye area. This rich and creamy butter easily absorbs into the skin to help condition, soften and smooth away dryness. Our decadently thick formula contains an intricate blend of full spectrum natural extracts, making it an excellent topical system to areas desiring treatment such as inflammation and other skin ailments. Made with pure and organic ingredients, this product helps to nourish the skin leaving it soft throughout the day. Apply as often as needed, or to damp skin. Great for post shower routines. 3.8 fl. oz./112ml Frosted Jar with silver lid. Replenish moisture to your tattoos with our Tattoo Aftercare Cream. Infused with both full spectrum natural extracts and Stem Cell Media, this intricate formulation helps promote the regrowth of skin cells, while rejuvenating the skin. This product was designed to protect your fresh tattoo, while keeping pre-existing ones bold and bright. Show your ink some much needed TLC. Promotes vibrancy in pre-existing tattoos. During healing, use three to four (3 to 4) times per day. Once your tattoo is healed, moisturize two to three (2 to 3) times per day. 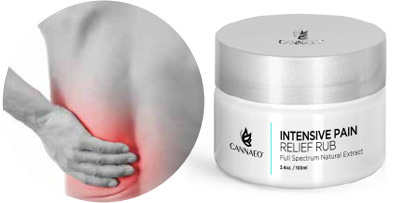 Our Intensive Healing Rub is the answer to muscle aches and other joint ailments. This product contains 50mg of full spectrum natural extracts that effectively binds to our CB2 receptors, to help melt away tension related to sore muscles. Apply generously to areas experiencing soreness. Experience the immediate soothing comfort. Binds to our CB2 receptors to provide rapid relief to muscle tension. Apply to affected area no more than three to four (3 to 4) times daily. 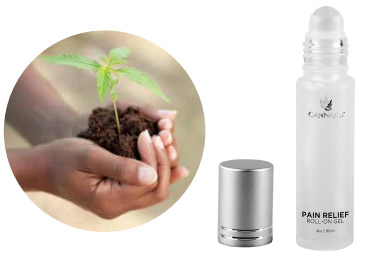 A topical blend with 50 mg of full spectrum natural extracts to help soothe minor muscle and joint aches. Our formula contains menthol and uses cold therapy (Cryotherapy) to help penetrate quickly and offer non-additive targeted relief. Cryotherapy (Cold Therapy) offers rapid relief. Apply to affected area no more than four (4) times daily. Massage if desired. Refresh and nourish your skin with our Facial Cleanser. Ultra-lightweight and deep penetrating, our cleanser is designed to clean deep into pores while replenishing with full spectrum natural extracts. This product doesn’t contain ordinary detergent agents responsible for suds and slip, but rather is of a lotion consistency to apply and massage smoothly into the skin. Penetrates deep into pores, while nourishing skin with natural extracts. 4oz/118ml Madeira White Boston Round. Use it in the morning and at night to remove dirt. Rinse thoroughly with a warm, damp cloth. 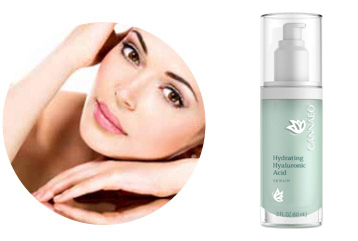 Hydrate your skin with our Face Toner. This toner is perfect for removing excess dirt from pores, while leaving your skin clean and refreshed. This product is formulated with an intricate blend of natural extracts to help supply the skin with the necessary nutrients it needs to stay moisturized. Feel free to spritz it on your face throughout the day. Removes excess dirt from pores. Helps replenish skin’s moisture. 4 oz./118ml Madeira White Boston Round. Sweep over face and neck with a cotton ball after cleansing. Enjoy the benefits of full spectrum natural extracts. Our CBD Veggie Capsules are made with 99% Pure CBD for optimal results. Each capsule contains 10mg or 25mg of our organically grown hemp. Take twice daily. Do not exceed more than four (4) in a day. Our Intensive Healing Rub with 10% Emu Oil helps to deeply penetrate the toughest aches and sores. Natural properties from Emu Oil combined with our full spectrum natural extract intensive formula makes for the perfect topical relief solution. Apply as needed to problem areas. Great for chronic conditions. Help provide rapid relief to muscle tension. Available in 1 oz., 2 oz., 3.8 oz. PG Jar container. 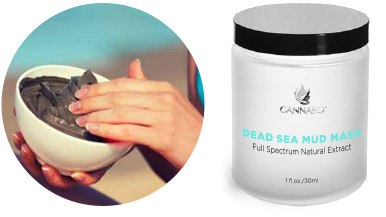 Our Cold Therapy Rub just got better. Enjoy all the same benefits, with double the dose of our full spectrum natural extracts, and new packaging for convenience and traveling. 3.0 fl. oz./ 90ml White Deodorant Style Roll-On Bottle. Cyrotherapy (Cold Therapy) offers rapid relief. Our Radiation Relief Cream was specifically formulated to help reduce the skin’s stress load when undergoing radio or chemotherapy. Our cream is packed with amino acids and multiple marine based additives to condition the skin, helping to reduce, tenderness, redness and itching caused by cancer treatments. We’ve also infused 40mg of our purest full spectrum hemp oil for added benefits. 1 fl. oz./30ml Acrylic Jar with Silver Detail. Convenient, tasty and discreet way to get your daily dose of full spectrum extracts. Silver Pouch Available 5-50 ct Larger quantities available. 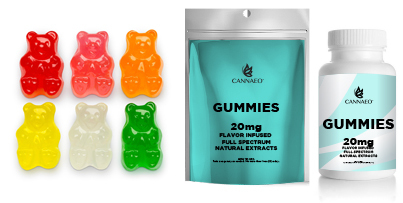 Take one gummy as needed. No more than three (3) a day. 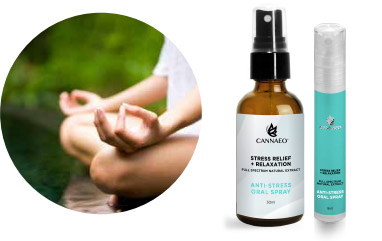 Cannaeo Massage Oil ensures the ultimate aromatic and physical restoration for all massage therapy. When kneaded into joints and muscles, CBD Oil interacts with our cannabinoid receptors for localized and targeted benefits, offering the perfect catalyst for Olive, Myrrha and Cassia Leaf Oils to encourage balance and silkiness of skin. Heating and aromatic properties of Cinnamon Leaf Oil allow valuable transformations to both the body and the mind to occur while it’s inhaled and absorbed into the skin. Dispense a small amount of oil into hands. Rub hands together and gently massage the desired area. Relax with our Health and Wellness Oral Spray. Designed to promote overall health and wellness daily, our formula absorbs quickly and is effective. This product is great for supporting the immune system when under physical stress, helping to stabilize one’s overall health and mood. Made with a blend of organic ingredients, this product is safe enough for daily use. 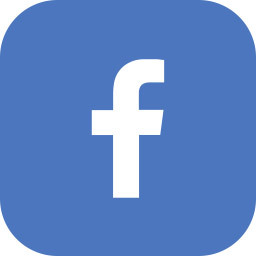 Promotes daily wellness and health. You deserve a good night’s rest. Melatonin, a natural occurring hormone in the brain, is released to promote sleep at night. 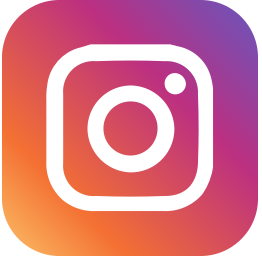 Unfortunately, as we age environmental factors such as artificial light reduces the Melatonin our bodies are able to produce, resulting in lack of sleep. Our Sleep Support Spray is combined with a special blend of full spectrum natural extracts, Melatonin and nutrients to help promote a long and restful sleep. This product is great for those experiencing difficulty falling or staying asleep. Scientifically tested to be safe and effective. Promotes good sleep habits and helps you maintain a healthy sleep cycle. 8ml Spray Bottle 30ml Spray Bottle. Adults, spray two (2) sprays into mouth 15 minutes before bed time. Oral absorption is up to 90% effective, allowing your body to utilize ingredients fast. Through oral absorption, nutrients go directly into the bloodstream and cells within a matter of minutes. 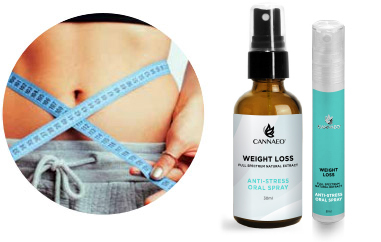 Our Daily Weight Loss Spray helps to control the appetite and increase metabolism, while promoting fat loss with muscle-sparing results. Contains 60mg of our finest CBD Oil to help protect your body with natural healing properties. Scientifically tested to be safe and effective. Thermogenic breakthrough that helps control the appetite. 8ml Spray Bottle and 30ml Spray Bottle. Add a daily boost to your diet. 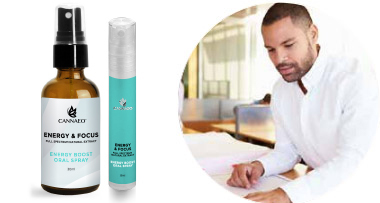 Our Energy and Focus Spray is designed to help you focus throughout the day without crashing. A healthier alternative to coffee or energy drinks, our formula contains a blend of Vitamins B-12, A & D to promote optimum energy. This product is made with naturally derived, high quality ingredients and is orally absorbed for fast results. Scientifically tested to be safe and effective. A healthy dose of energy throughout the day. Your body deserves a break. 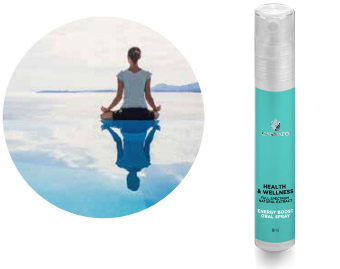 Our Stress Relief and Relaxation Oral Spray is designed to calm the body and promote relaxation. Our formulation is infused with a blend of organic ingredients to help stimulate relaxation in the body and brain, while also helping to dissipate stress. This product is great for those who live an active lifestyle. Scientifically tested to be safe and effective. Assist people struggling with chronic stress and anxiety. 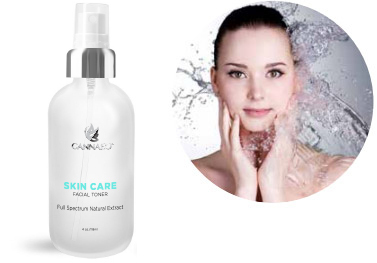 As usual, mother knows best, and the nurturing continues with the reduction of redness and resurgence of complexion via natural ingredients like Organic Green Tea Extract as well as Avocado, Coconut, Marula Kernel, Olive, Lavender and Peppermint Oils. These, in combination with USDA certified organic Emulsifying Wax and organic extracts of Kale, Chlorella, Wheatgrass, Lemon, and Spirulina rejuvenate the skin’s barrier by emulsifying tissue while reducing transepidermal water loss. Also loaded with antioxidants, these organic extracts treat acne and slow down the aging of skin cells by eliminating free radicals, creating the ultimate protective layer. 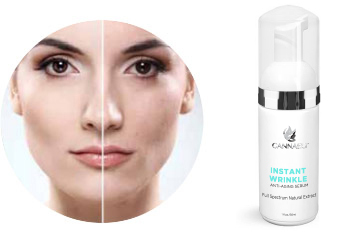 Cannaeo Purple Tattoo Radiance Lotion is perfect for maintaining clean and vibrant pigmented skin art. We believe that only the most natural and nourishing lotions should immerse needle-pricked skin, and have formulated our own with healing and antimicrobial oils — Aloe Barbadensis Leaf Juice, Coconut Oil and Vitamins A & E — to combat any flaking, infection and the formation of scabs that may lead to color gaps. With its analgesic properties, Lavender Oil reduces inflammation, rejuvenating skin tissue with elasticity and vibrancy. Plus its light fragrance and rapid absorption, this cream is consciously designed for expedient recovery of your skin and long-term revivifying of its art. Apply to tattoo as needed. Blended with Color Clay Vulcanus – located and identified off of the Mediterranean Coast – this mask is rich in restorative elements and minerals sourced from the Earth, becoming our team’s go-to solution for brightening and clearing the skin. Our beloved blurring primer – The Instant Wrinkle Cream – is now available with organically grown, full spectrum natural extracts to instantly fill in and nurture deep creases within the skin and prolong makeup wear. 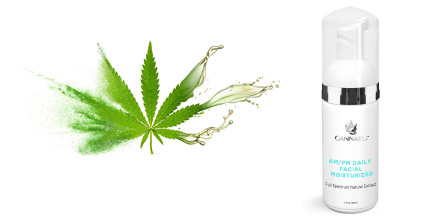 Hyaluronic Acid and esters of Retinol work to reduce appearance of fine lines and enhance an even texture, while CBD penetrates skin to strengthen from within. 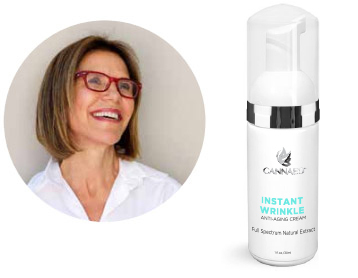 Hemp oil and various other conditioning emollients ensure there is neither over-drying nor unfavorable, white residue often visible with other wrinkle fillers, making this deeply nourishing and instantly gratifying blend perfect for not just a quick fix, but for continuous treatment. Helps reduce appearance of fine lines and even skin texture. Apply a pea sized amount. Massage thoroughly over affected area until completely absorbed. Keep area still 2-3 minutes allowing product to dry. Strong hair starts with a clean and healthy scalp. Procuring more voluptuous hair is simple when making Cannaeo’s new Hair Growth Shampoo and Conditioner a part of your self-care routine. Formulated with full spectrum natural extracts as well as clinically supported and organically derived active Anagain. It is safe to say that both products are blended with your hair’s vitality as its utmost priority. DNA microarray analysis of plucked hair follicles supports that Anagain has the ability to stimulate growth at the very root of the follicle. That means, that as natural compounds/cannabinoids found in Broad Spectrum CBD restores buoyancy and hydration to existing hair strands as well as the scalp. Anagain is actively ensuring the growth cycle of the hair continues for the hair to maintain its original thickness and density. For Best Results: Use in combination, Cannaeo’s Shampoo and Conditioner cleanses the scalp of pollution, toxins, day-to-day grime and build up without stripping away the integrity of the hair. A powerful shampoo and conditioner that was designed to support natural hair growth on men and women who have experienced hair loss or thinning hair. Infused with 50mg of CBD; clinically supported ingredient Anagain; visual difference within weeks of consistent use; stronger and thicker hair and hydrated hair; clean, refreshed, and stimulated scalp. 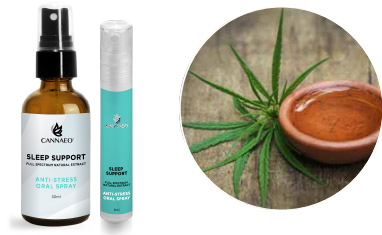 CBD Hair Growth Leave in Hair Solution + Anagain + CBD Perfect for the dopp kit, for your pocket or for next to the faucet, this travel-sized solution is your ultimate confidante for quick and powerful hair reinforcement. 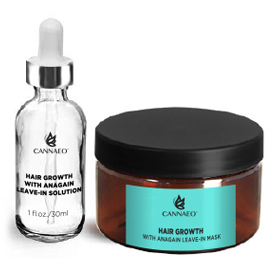 Define resilience at your roots with Cannaeo Leave-in Hair Growth Solution. Embodying such light viscosity and highly concentrated Anagain and Broad Spectrum CBD actives, this blend works wonders for daily and/or infrequent treatments. Formulated with 100mg of CBD, this 2oz. bottle yields a generous amount of Vitamin E and several fatty acids per application, feeding your scalp with natural hemp derivatives and largely emollient properties. This assistance in water retention creates a softening effect on the hair while combating any buildup. Without scalp clogging, there is maximum absorption of Anagain into the scalp and the Dermal Papilla (DP) – a key liaison in hair follicle development and growth. All that power and you don’t even need to get your hands dirty; it is designed with a dropper applicator. Although suitable for use after most shampoos and conditioners, for ultimate penetration and results, work product into the scalp lightly after cleansing and conditioning hair with Anagain + CBD Shampoo and Conditioner. 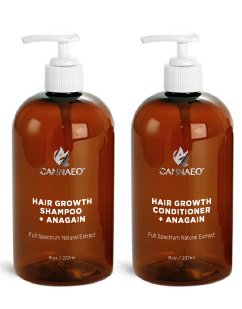 Hair Growth Treatment Hair Mask + Anagain + CBD Unveil voluminous and thick locks after treating them to Cannaeo’s Hair Growth Hair Mask, a significant player in our Hair Revolution Kit. A rich and moisturizing hair balm blended with Anagain and Full Spectrum CBD, this formula is extremely generous, root to tip. Proteins and fatty acids derived from Broad Spectrum CBD are absorbed by the hair shaft and follicle, providing both strength and nourishment when combed throughout clean, damp hair. After only a few minutes, the hair mask can achieve quite opulent conditioning, improving both manageability and shine of hair by sealing thirsty ends and protecting them from splitting. Such thorough fortification of hair made possibly by the naturally derived ingredients of the mask is essential to the success of the Anagain active. 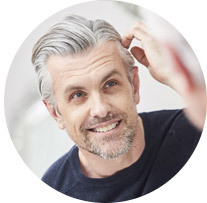 When paired with ingredients already facilitating hair restoration, Anagain’s effects on hair density are likely to be more successful because hair receives repair benefits from multiple ingredients, and in one application. After 3 months of instructed use, it’d be nearly impossible to mask the inevitable, significant resurgence of your locks. Improves the appearance of fine lines and wrinkles. 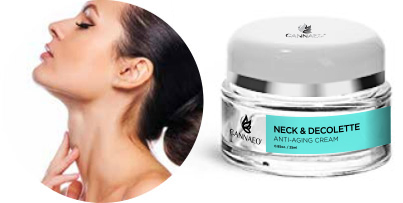 Lifts and rejuvenates neck and décolleté. Firms and sculpts to bring back youthful appearance. Improves the appearance of fine lines and wrinkles. 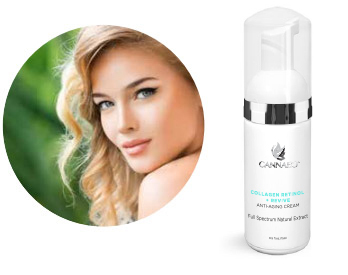 Support skin’s natural collagen and elastin production. Hydrolyzed Marine Collagen, Iris Padilla Leaf Cell Extract, Nymphaea Caerulea Leaf Cell Extract. Slow down the aging process by preventing free radical damage. Scientifically proven to regenerate collagen. Provides a boost in suncreen and UV protection. This will also improve the appearance of fine lines and wrinkles and will lighten pigmentation. Rapid action instant wrinkle serum is a breakthrough formula used to create an instant “face lift” effect. Softens existing wrinkles and prevents future formation. Helps stimulate cell growth. Fills wrinkles within minutes. Reverse the visible signs of aging. Reduce the appearance of wrinkles, dullness, and tiredness. Improve the appearance of fine lines and wrinkles. Improve overall texture and complexion. Reduce puffiness and stimulates collagen. Repair the appearance of past damage. Lighten the appearance of dark circles and dryness leaving eyes looking beautiful, luminous and younger. Eye Regener Bags are reduced significantly. Tightens and increases skin tone. Actiflow reduces puffiness + swelling. Increases skin firmness + tone. 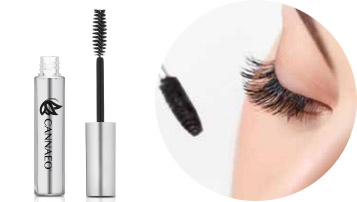 Clinically proven ingredients help regrow and thicken your lashes and brows with our amazing eyelash enhancing serum. Treat her with this intimate massage oil made with broad-spectrum natural extracts and synergistic botanical and aromatic oils. This unique aphrodisiac blend is formulated for women, to enhance tactile sensation and pleasure while decreasing tension, discomfort and dryness. Improve the appearance of fine lines and wrinkles. Delivers intense hydration and moisture to skin. 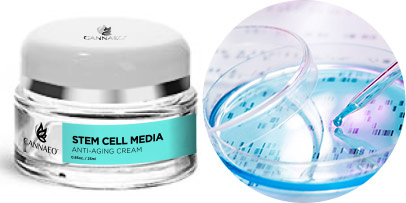 Rejuvenates aging skin by promoting the stimulation aging skin stem cells. Restore your skin’s natural moisture with our Hyaluronic serum. This concentrated formula contains age-defying properties which aid in hydrating and replenishing the skin for a healthy, younger looking complexion. Protect your skin with Cannaeo Retinol Complex Serum: the most reliable knight in shining armour! This beforebed-blend is packed with 2.5% active Retinol, proving to be a fiercely generous nighttime necessity. One pump of this Vitamin A derivative applied to a clean, toned and moisturized face will promote skin renewal— evening out texture and discoloration associated with dark spots and scarring from blemishes, hyperpigmentation, photo-aging and hormonal changes. Regular use of these retinoid nutrients will provide transformative effects on fine lines and wrinkles by flooding cells to stimulate blood flow and promote collagen production! A quick-acting, easy to administer spray that offers relief without harmful side-effects. Helps manage mood and anxiety, and promotes daily health and wellness in pets. Aids with general mobility and energy. Helps manage mood and anxiety. Shake bottle. Spray into pets’ mouth or food. For pets under 25 lbs., use two (2) sprays. For pets over 25 lbs., use four (4) sprays. 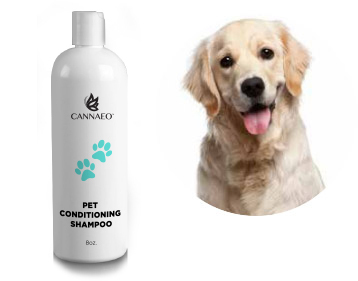 A calming, conditioning shampoo that helps treat a variety of skin conditions on your pet. GLA in CBD helps regulate the endocrine system to help with hairloss and irritation. Aids with obsessive biting. Pour shampoo into a container of water to form thick suds then bathe or sponge onto animal; rinse thoroughly. A mild-flavored supplement that can be easily added to pet food or treats as a daily supplement. For spray bottle, shake bottle. Spray into your pets mouth or food. For pets under 25 lbs., use two (2) sprays. 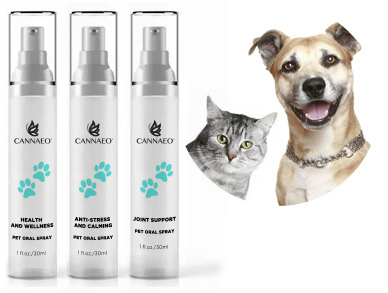 For pets over 25 lbs., use four (4) sprays. For dropper bottle, drop in pets mouth or in food. For pets <25 lbs., use one (1) full dropper. For pets >25 lbs., use two (2) full droppers. Contains relieving properties; a great addition to aging pet’s diet. 30ml Amber Bottle available in a spray or dropper top. 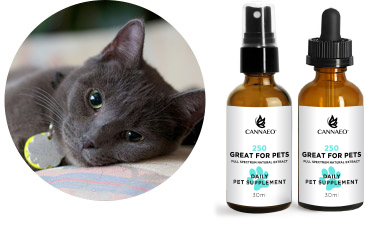 A convenient, delicious and playful way to make CBD part or your pet’s diet. Helps treat several conditions without using harmful prescription medication. Pets less than 15 lbs., get 1 treat. Pets over 15 lbs., get two (2) treats. No more than two (2) servings per day.